On sale! 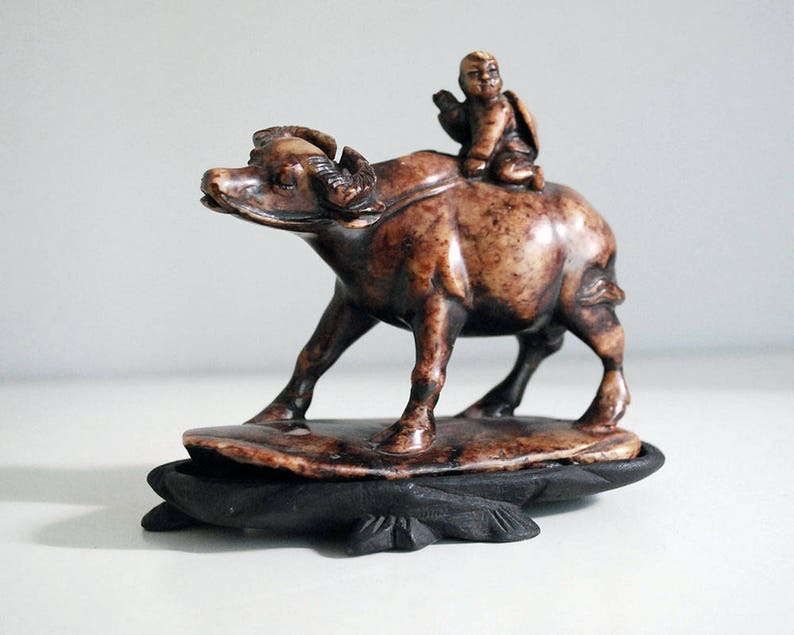 Lovely antique Chinese soapstone sculpture of a water buffalo or ox with a little boy riding on its back. This hand carved natural stone has variegated colors in brown and beige with a hint of red. It comes with a hand carved black wooden vase. The statue dates to the early 1900s, perhaps earlier. It is marked on the bottom with a character consisting of three lines and a circle. The statue has such nice details and expressiveness and would be lovely in an Asian, boho, or eclectic decor. The statue is in good condition overall but has had some repairs to the legs and base, visible only on close inspection (but reflected in the price). There are also a few small nicks commensurate with age. Size: The statue is 4 inches long, 1.9 inches wide, and 3.75 inches tall. 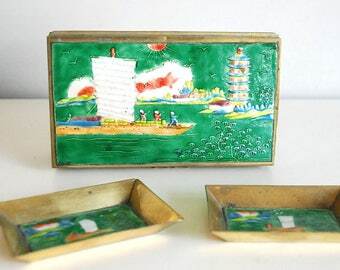 With the base, it's 4.25 inches tall.